A tour guide in Reno said when a casino advertises “loose slots”, all it means is that the machines are not screwed to the floor! But seriously, let’s examine what constitutes the term “loose” and how and where do you find such machines. In live casinos, it’s not too hard to locate the better paying machines. You just need a bit of patience and do some detective work. So, first of all, let’s talk about the mathematics of slots. You know that if the sign says “98% payback” it’s a slot worth paying, but it does not mean if you invest $100, you will get $98 back. It indicates that the long term payback (perhaps millions of spins) will be 98%, but during the short period you are at that machine, anything can happen. You could hit the jackpot or you could lose all your money. Here’s a simple example of how payout percentages are set: Take a basic machine that has 3 reels with 20 stops per reel. If the jackpot symbol is “7”, you can be sure that there is only one of those on each of the reels. To calculate the odds of lining up three sevens, you multiply 20 x 20 x 20 = 8,000. One of those 8000 combinations will be 7-7-7. You have a 1 in 8,000 chance of hitting the jackpot. If there were two 7s on one of the three reels, the odds would be 1 x 1 x 2 = 2 in 8,000. Payout percentages are set by manipulating the number of same symbols on each reel. It is what makes a machine a loose slot, an average slot or a tight slot. On today’s machines the spinning reels are there for visual effect only. A computer chip, known as a Random Number Generator determines the outcome. It happens the instant the spin button is activated. On every casino floor there are only a very few really loose machines. They exist for two reasons: first, so the casino can’t be accused of false advertising, if their marquee screams “98% Slots”, and second, it’s good for business if happy winners create excitement on the casino floor. Only the slot manager knows the location of his best-payout machines and he won’t tell. 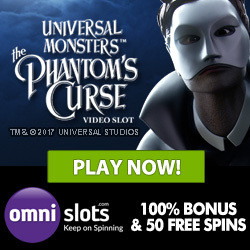 Online slots are considered to be more loose! You Should choose a machine that is centrally located and is highly visible from all directions. Casinos encourage other players to keep gambling by allowing players to see previous winners. It would make sense to assume that they’ll place the best machines where they’ll attract the most attention. Ask a casino employee. She or he is around those machines for eight hours a day and should have a good idea which machines are paying better than others. A small tip could bring big dividends! Befriend the regulars or locals. Find out if people play in that casino regularly and which machines they like. Chances are they know which are the loose slots. Look for winners. Not someone who just hit the jackpot, but players who look like they seem to be winning slow and steady. Theirs could be a loose slot machine! Grab it when it becomes available.